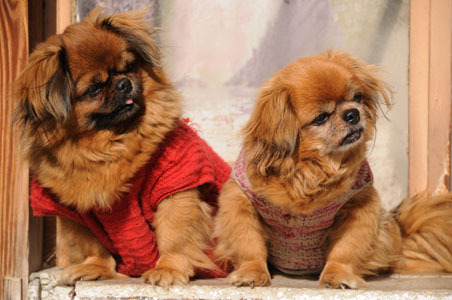 Two Pekingese dogs wearing jumpers! 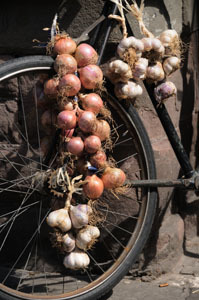 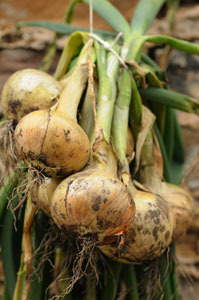 Bunches of onions and garlic hanging from an old bike. 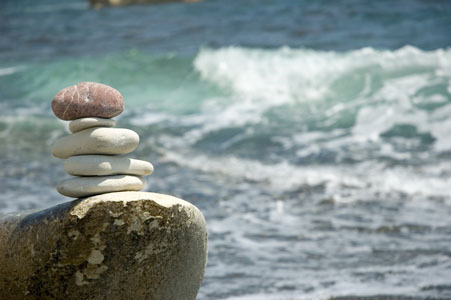 A pile of stones balanced on a rock with a rough sea in the background.